Being a mother, especially a first time mother, is never easy. There a lot of uncertainties, tons of questions, and not knowing whether what you are doing is right or wrong. As a mom of two young kids, I have made the experience that every child is different, and there is no one-size-fits-all solution when it comes to your kids......but I still believe that it is important to look for advise, ideas, and to learn what is that kids actually need. 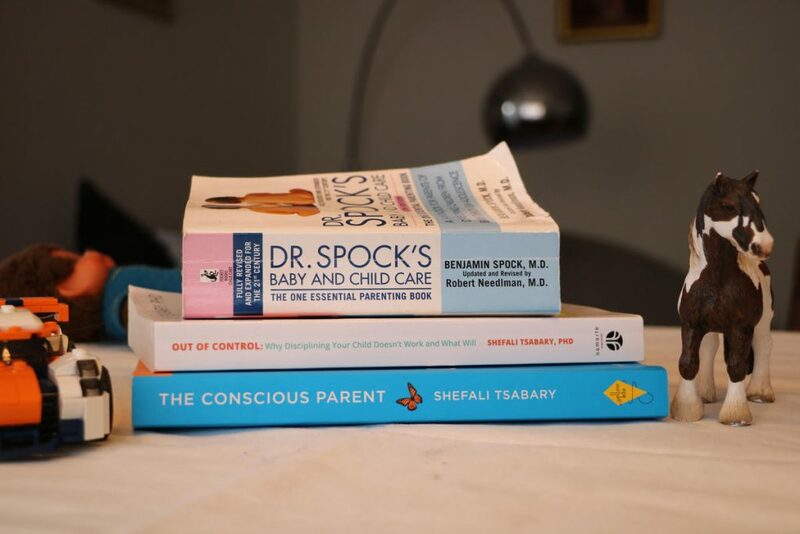 In this blog, I am sharing the books that have (and still are) helping me navigate motherhood. This is a "must-read" book for every new mom! Babies go through many different phases, which can lead to a lot of uncertainties, especially for first time mothers. A lot of times we are not sure why our baby is all of a sudden crying so much, or being "difficult", or wants attention all the time. It turns out that the mental development phases that babies go through can be quite scary for them.....and this book not only helps you understand their "strange" behavior all of a sudden, but it also guides you through the process of how you can support your baby through these phases. This book was an eye opener for me personally in the importance of truly connecting with myself first, and be totally aware of my unresolved emotional issues, in order to be able to truly connect with my own child. This book stresses the importance of being truly conscious as a parent, which in turn helps and supports my children reach their full potential. Is it always easy to follow her advice, or philosophy - absolutely not. But this book helps us realize that the challenges of parenting are an amazing opportunity for a spiritual awakening, and growth together with our kids. Another great book by Dr. Shefali, that discusses why disciplining is not an effective technique when it comes to our kids. As well as, the importance of deeply connecting with our children in order for them to develop a sense of personal responsibility for their own behavior. Another fantastic book about effective parenting. Discussing the importance of connecting with our children, and recognizing their emotions and feelings. Ways to criticize in a motivating way, and the importance of effective communication and mutual respect with each one of our kids. This is a must read book for every parent, that wants to understand and implement the concept of mindfulness in their home and parenting stile. It is an easy to read book, that talks about what is mindfulness....especially when having kids; how we can implement it in our everyday life; how to deal with our own emotions, and navigate through difficult times; as well as, how to encourage positive behavior. As I am constantly reading new books, I will make sure to update this list accordingly. In the meantime, I would love to hear from you - what parenting books have helped you understand your child better and "improve" your approach with your kid(s).